One of the most difficult things we encounter when discussing security with potential clients is ‘optimism bias’; the belief that bad things are less likely to happen you than to the average person. Very often it takes a rise in the local crime rate, or a high profile burglary or violent attack to raise people’s awareness that bad things can and do happen to everyone, and that’s when we start to see a spike in calls to our installation and electric gate repairs team. 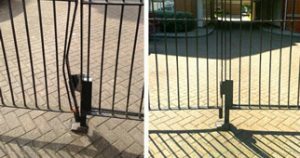 Whilst we’re always delighted to fit automatic security gates for residential, commercial and industrial clients across Bedford at any time and in any circumstances, we consistently remind clients that good security is always about being ahead of the game, taking a proactive approach and ensuring that whatever security devices you have installed are regularly serviced, maintained and immediately repaired if faulty. Bedford enjoys a fairly low crime rate, with anti-social behaviour, petty theft and public order crimes making up 65% of the incidents investigated between July 2015-16. There is a slight year-on-year increase in these criminal activities. Whilst some of these crimes will be significant, many of the incidents of anti-social behaviour will involve graffiti, trespass, public nuisance and loitering – all the kinds of behaviour that secure and carefully maintained automatic gates are designed to protect against. Immediate response and repairs should your gates break down for any reason. Annual service and maintenance on all driveway and automatic gates installed. Reports and recommendations – where appropriate – on upgrades to your existing security system. Ongoing advice and support for all your security concerns. Faulty or poorly maintained automatic gates are no longer doing the job they were originally installed to do. We always suggest to our clients that the moment they discern a problem with their automatic gates – however minor – they should contact our experienced security gate team who will immediately diagnose the problem and take the necessary action in order to maintain the levels of security we expect from our gate solutions. 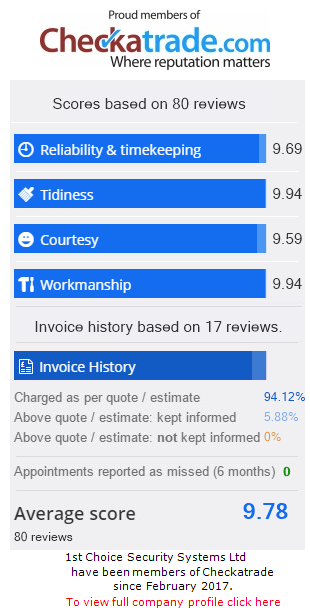 Ask our team about maintenance, servicing and electric gate repairs in Bedford; we aim to provide ongoing, daily security for all our clients.